This boys grey plaid fedora with mini-check houndstooth band will keep your little man head warm and stylish this fall and winter season. It's a great hat to take an outfit from boring to fashionable. 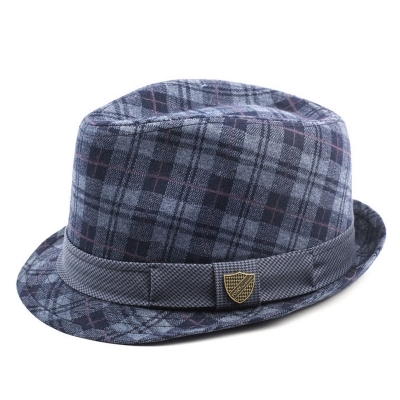 This well constructed hat is a great fedora for everyday wear and is offered in a variety of sizes.